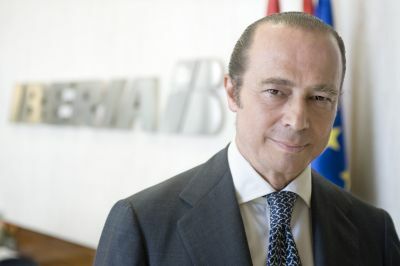 Antonio Vazquez is Chairman of the International Airlines Group and Chairman of Iberia. Born in Córdoba in 1951 he studied at Malaga University. In the 1974-1978 period he worked for Arthur Andersen & Co (today Accenture). From 1978 until he joined Tabacalera in 1993 Vázquez was employed in consumer product companies, including the Osborne group and Domecq. With the Tabacalera Group he became Managing Director of the cigar division and is credited with playing a decisive role in the achievement of world leadership by Altadis in this sector. He became a Director of Iberia in 2005 representing Logista, a shareholder at that time. He was previously CEO of Telefónica International. 2011 will be a landmark year in the history of Iberia and British Airways and, I believe, also in the history of the airline industry. On January 24 the shares of International Airlines Group (IAG) will start trading in the stock market. The third largest scheduled airline in Europe and the sixth scheduled airline in the world in terms of revenue will be born. I am confident about the success of this new holding company because it is propelled by two powerhouses in the airline business: Iberia and British Airways. These are companies with renowned brands and they are market leaders. Together they fly more than 400 aircraft and carry over 60 million passengers a year. Thanks to this merger both airlines are going to play a leading role in the consolidation process the industry is going through in the last years. We do not want just to be part of this process, we want to lead it. Iberia and British Airways are the perfect match for many reasons. Let me outline some of them. We know each other for more than ten years, when we became oneworld members. We are shareholders in each other and we have been working together on a joint business between London and Madrid for five years now. Besides, we launched last October, along with American Airlines, a joint business in the North Atlantic routes. So, you can say we have worked together very closely for quite some time and know each other very well. This will be very important to make the merger go ahead and be successful. British Airways and Iberia have also very complementary networks. If you look around at the European airlines, you will not see a better match in terms of route networks. Iberia is the leading airline between Europe and Latin America and British Airways is very strong in North America and has a significant presence in Africa and Asia. This means that we will be able to offer our customers the world. Our combined network will consist of more than 200 destinations, so our passengers will have more travel choices and better connections all around the globe. We will also be able to invest more money in our products and services. Our hubs – Heathrow and Madrid Barajas – are two of the busiest airports in Europe, with around 120 million passengers a year. Terminal 4 in Madrid and Terminal 5 in London are the most modern terminals in Europe, which let us offer our clients easy and comfortable connections. Besides, Madrid has a very significant growth potential; its four runways can absorb 120 flights and hour, and now, during peak times, it operates around 90. This is very important for the planned expansion of IAG. I believe the way IAG has been structured will be one of the good reasons for its success. It is scalable, so it can grow in the future through further mergers and acquisitions. Iberia and British Airways – like the airlines that will join IAG in the future – will keep their own brands and nationalities, and at the same time they will benefit from the advantages of the merger. The proposed synergies for the Iberia-British Airways merger account for €400m per annum from year five; 60% will come from lower costs – maintenance, IT, joint procurement – and 40% from increased income – joint selling, network optimization, codeshare expansion. And finally, I am very proud of the management team that will run IAG, with some of the best executives of both Iberia and British Airways, the Board of Directors, probably one of the best in Europe, and the 60,000 employees of both companies that will be the engine behind this new leader of the airline industry.